Oversized front door handles are the hottest new trend in architecture. As more and more projects, featuring these, crop up, the more we get convinced of the thought that this design solution should pervade more households. There is something undeniably stylish about an oversized handle, regardless of shape. And considering the size of contemporary doors, it only makes more sense. 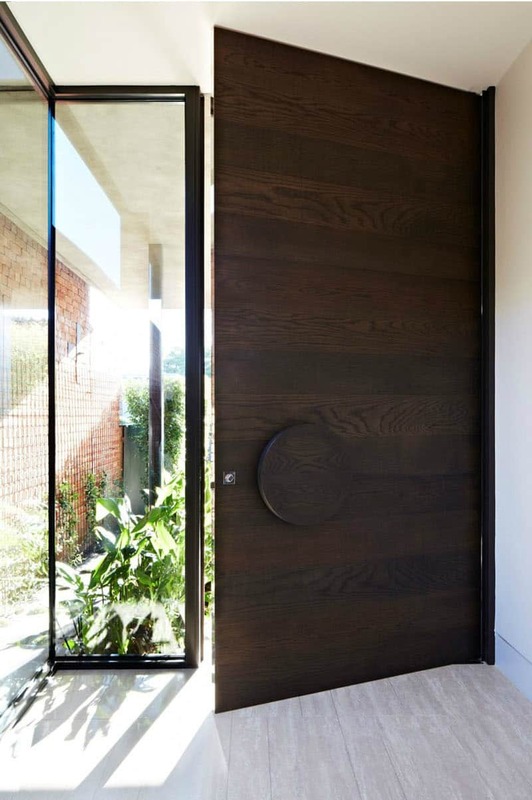 Wooden doors always look inviting, and can make for a stylish entry. An oversized handle will certainly add to any wooden door, especially if it’s thick and tall. 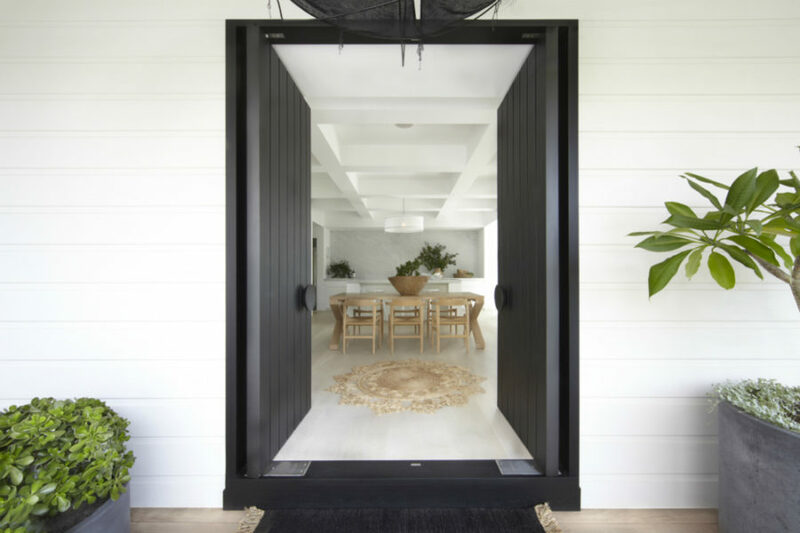 This $3.7 Australian house instantly makes an impression with its dark wood door, featuring a big square handle inserted into a recession in a thick wooden block. 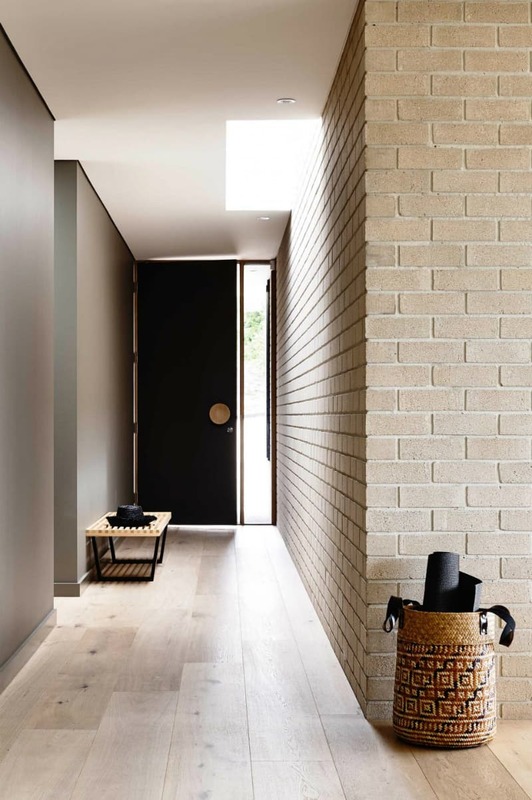 The metallic element adds a bit of an industrial feel to it, which is most fitting for the exposed, untreated concrete walls of the hallway. Since wood is such a sunny, warm material, it can look pretty homey and even rustic. Big handles allow you to keep it both grand and inviting. 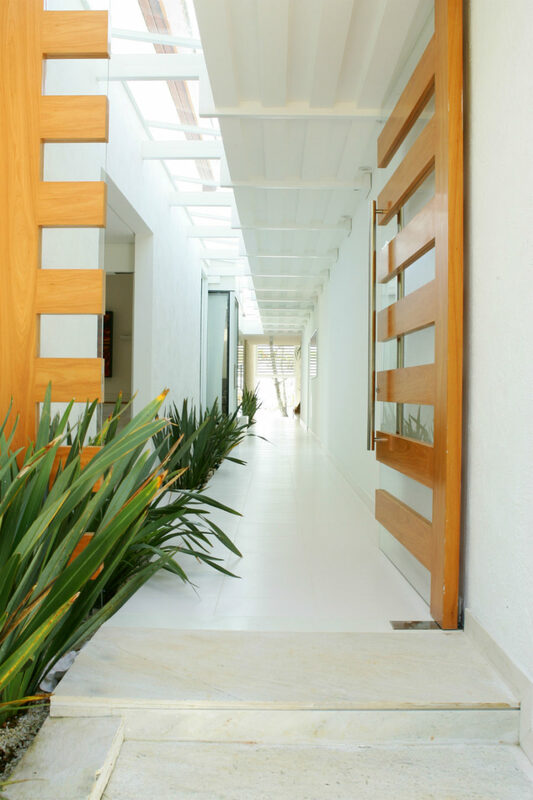 The thin slats in this particular example go extremely well with the two long handles that run along both doors. Light wood and black steel look unquestionably modern. Whether you’re building a house, furniture, or an outdoor feature, this combination is a sure way to make it look current. 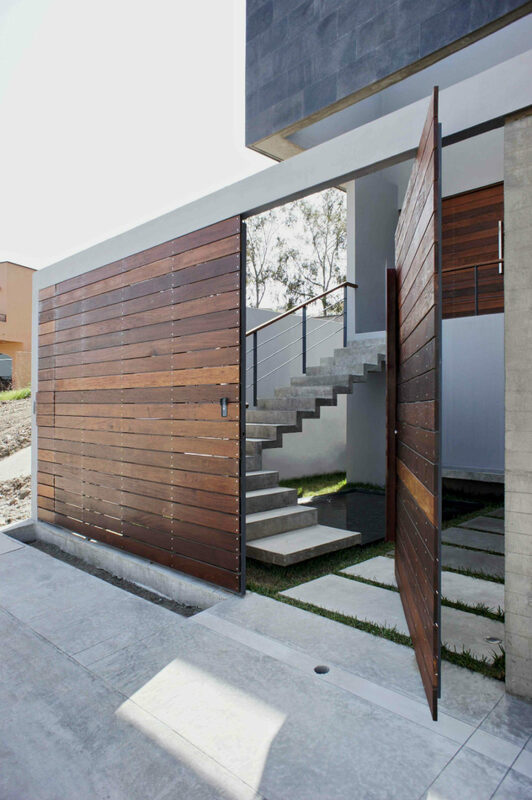 This door made of slightly varying wooden slats is a perfect example of how this combination works to create a sense of modern style. 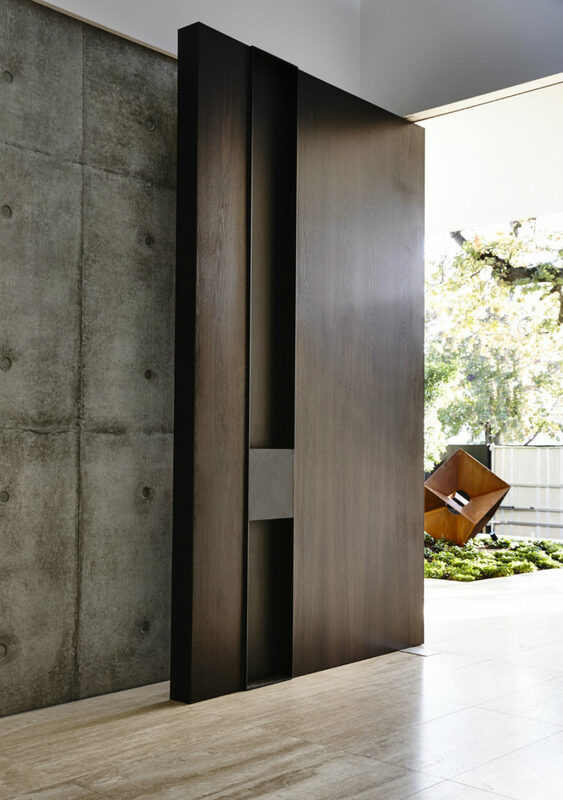 Modern doors can be of any shape, form, or size. 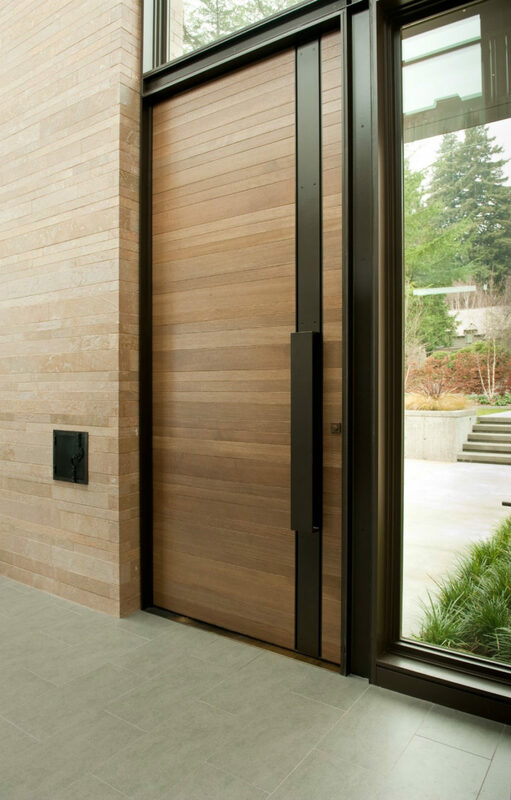 This slim wooden entrance also features an oversized handle that gives it an eye-catchy look. 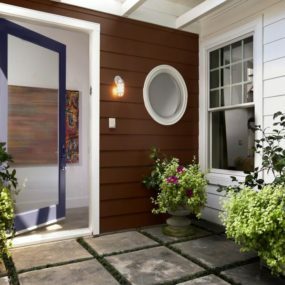 If you want your front door to really stand out, contrast is in order. Here golden brown wood stands nicely against the grey walls and floor. 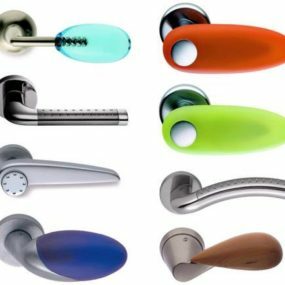 Oversized front door handles come in doors of various materials. 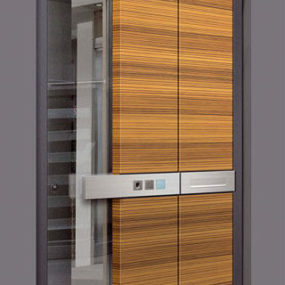 All-metal doors can, too, be quite designing, especially if their handles aren’t dull and boringly conventional. 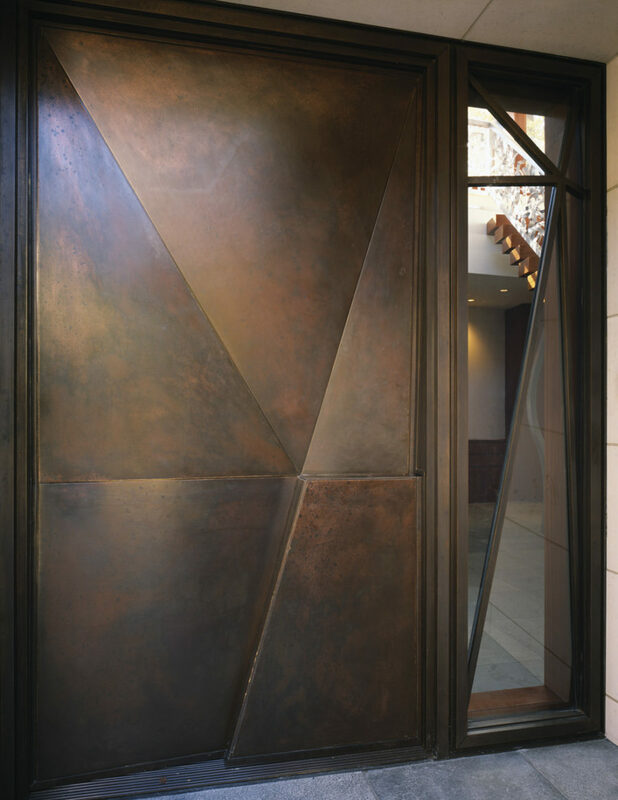 This cool door is covered with angular pieces of metal, and already developed beautiful patina. A similar glass transom comes along to match the interesting entry design. A big protruding piece finishes the design acting as a handle. From the inside, it appears indented to also create an operable element. 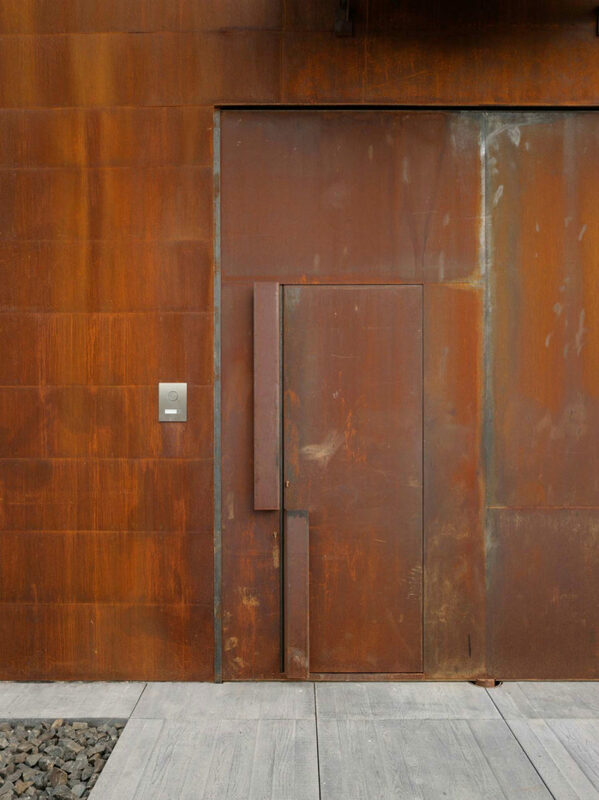 Even a plain rusty metal door can get an instant style upgrade with a noticeable handle. Here it is more than noticeable. The double lapel handle creates more presence than a singular lapel would. It is a great solution for industrial style exteriors, when you want them to attract attention. 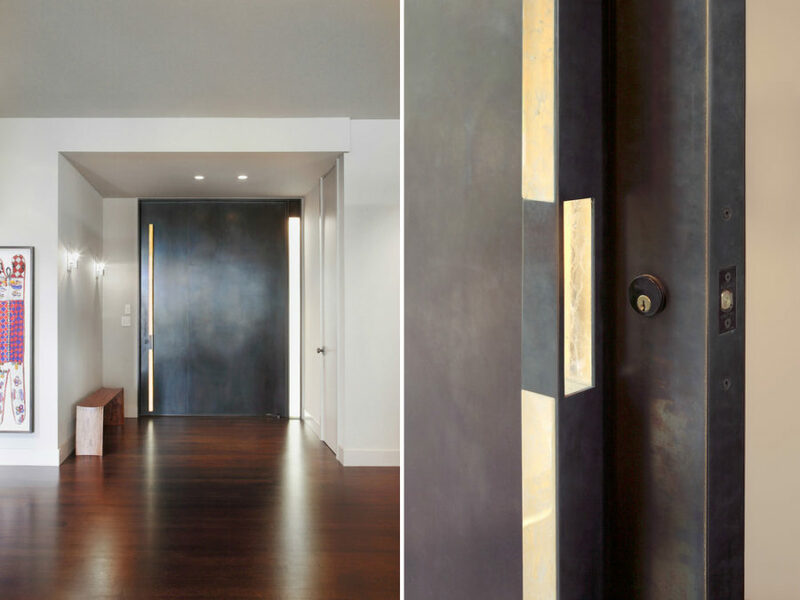 Metal can be highly decorative, so why not use it to make your oversized front door handles stand out? Here is an example from a residence by Dovetail General Contractors. Dark wide metal door contrasts beautifully with a thin golden brass handle that is quite ergonomic, and actually quite conventional, if you look closer. Modern gates can be stylish as well. It’s all a matter of design and style. Plain-looking materials can appear quite modern, but if you feel like something’s missing, oversized front door handles may help you accent your doors. Here Urban Angles used beautiful dark wood to create wide gates, and added a wide square handle to complete the look. 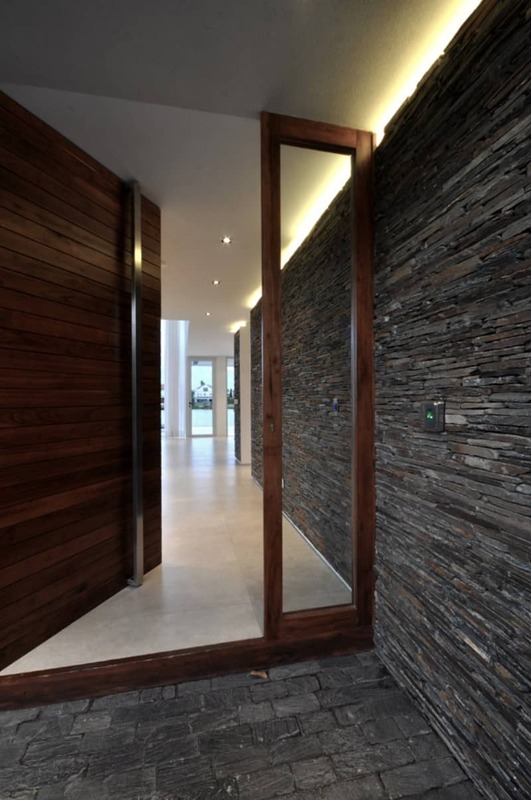 This combination of contemporary grey, modern dark wood, and a simple square accent makes for an attractive entrance, that’s subtle but memorable. 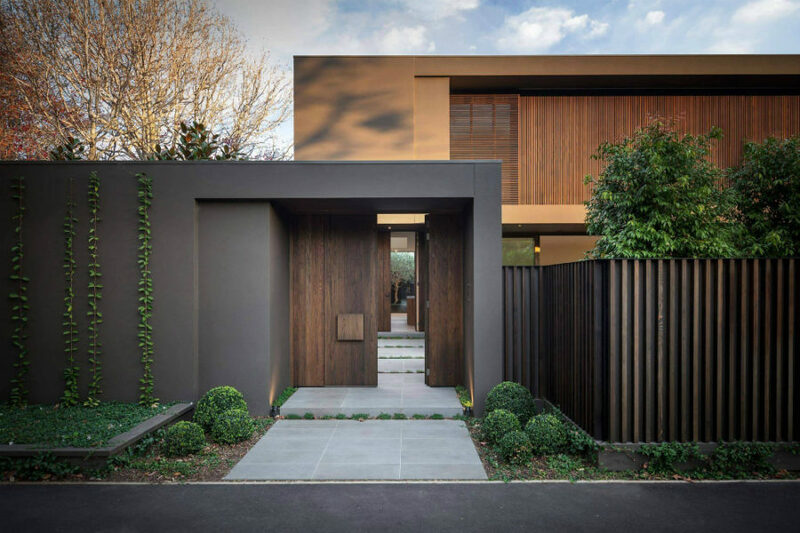 Great thing about modern gates is that they can look similar to the house doors. No wrought iron heavily sliding sheets of metal necessary. Wood is the best material for these kinds of gates. It still looks fresh but also somehow contemporary. Add any type of handle to it to be able to operate it like any other door. The bigger ones seem more fitting for the modern gate doors simply because these doors are usually a bit bigger than others. Oversized front door handles can look very different. There are disc-shaped handles, long line handles, squares, horseshoes, and all kinds of other shapes. Disc shape is very much popular right now. 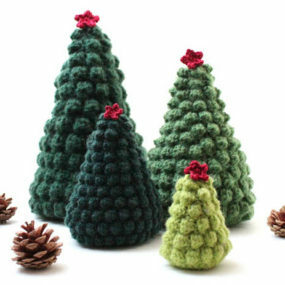 It looks simple but eye-catchy, and it can be made from the same material as the door or create a cool contrast. Glass transoms next to front doors also seem to be a trend that is gaining momentum. While some may argue that they sacrifice privacy, others may find them quite convenient. 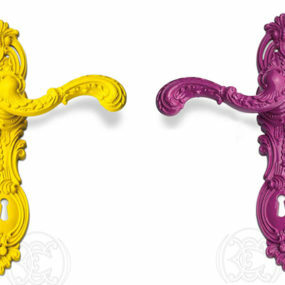 If there are grander contemporary handles out there, we have found them. Zest Architecture really did a job on their Villa CP, which was actually a restoration of an old Catalan farmhouse. A huge window above the wooden door with two impressive (in both size and form) handles not only harvests plenty of light for the interior but also reflects tree crowns and blue sky like some magical mirror. There is probably nothing more impressive and contemporary than a line handle that stretches from floor to the very ceiling. In this case, the effect is also strengthened by the size of the door. Yet again you can see how harmonious wood, metal, and stone work together. Lines and discs aren’t the only shapes that can look simply stylish. Here is a great example from the project by Mob Design Studio. 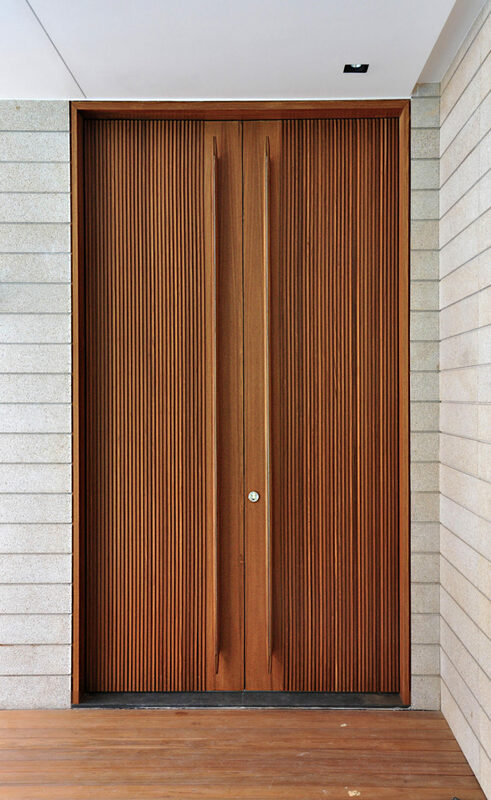 A beautiful veneered wooden door with a texture to admire breaks the L-shaped handle into two independent elements. And the handle’s white color further pushes it to the forefront of our view. As we already mentioned disc-shaped handles are too cool to pass up. They instantly look different just because it’s a largely new shape in the realm of door rectangles and rarer squares. 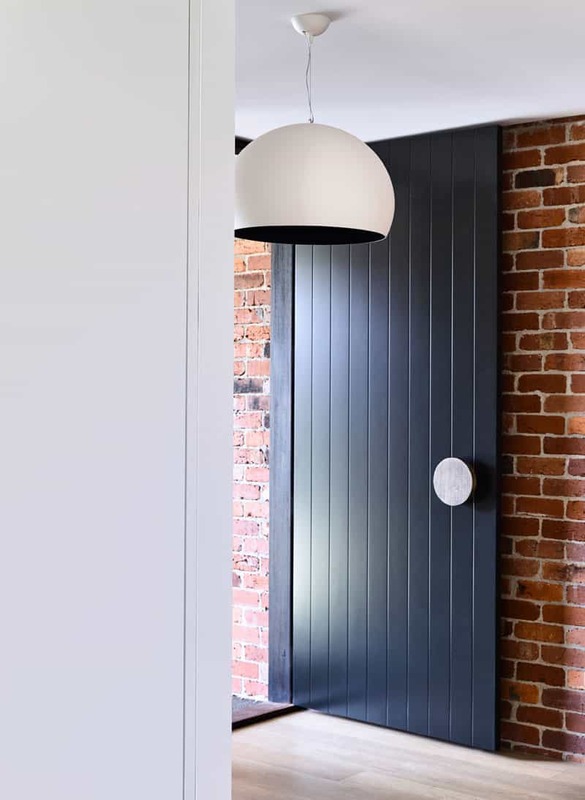 This historic house gets an instant contemporary upgrade with a pair of oversized disc handles. Even though they’re made of the same material and color, the discs look intriguing. 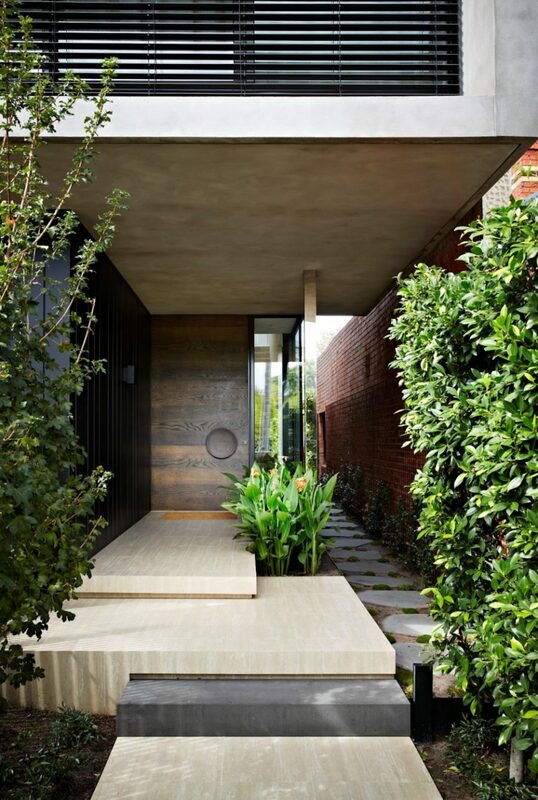 Another notable element in this whole design is the stark contrast between the entrance and interior. A wooden disc handle in a contrasting color is another way to make a statement. Here the contrast between the door and handle is great, so it looks especially cool. An accent doesn’t have to be something unique. For instance, this handle comes in an almost perfect concert with the light wooden floors and door frame. Difference of shapes creates a great dynamic in the interior. 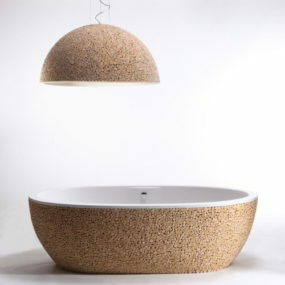 Here Inform play with vertical lines, rectangles of bricks, and spherical forms of a disc handle and a lamp. Again, the contrasting handle will always look a bit more noticeable than the ones that come in the same color as the door. You can go another way, though. The bigger the disc handle, the more noticeable it is. Also, bigger doors may require bigger handles. 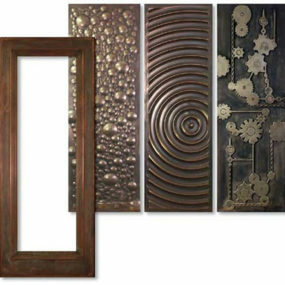 Today door designs are so different, it can be hard to make a choice. With modern house security systems they also became more bold and transparent. 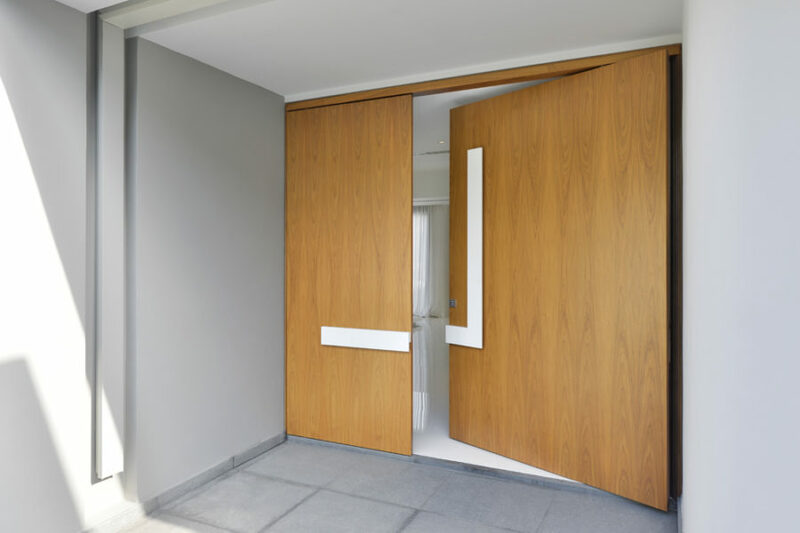 Pick Vitrocsa doors, for instance. 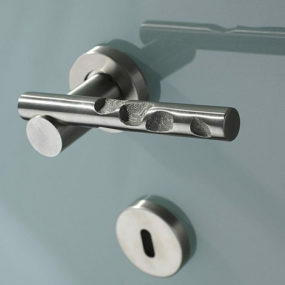 Finished with trendy oversized front door handles, they come in glass in pivot, sliding, and guillotine styles. 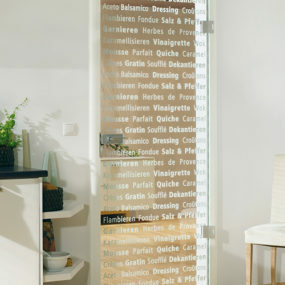 An oversized handle gets even more exposure in a glass door. The only downside to a disc one may be its close distance to glass. 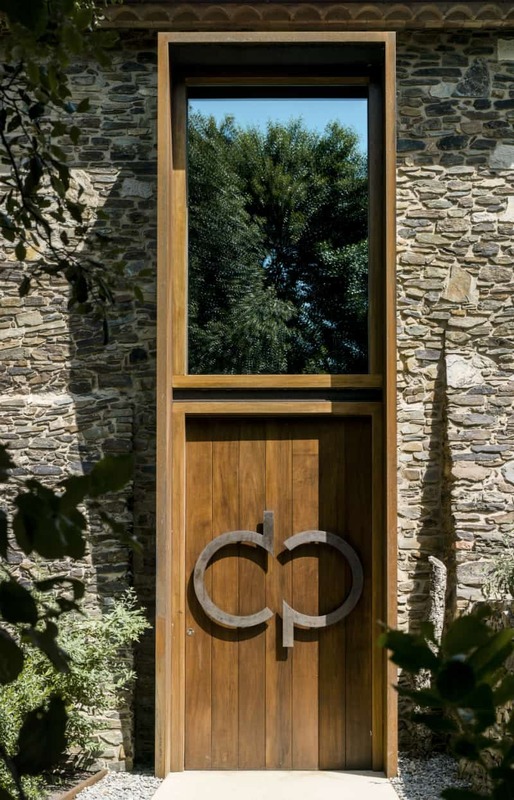 Some doors are just made for celebrities and design enthusiasts. In case you were wondering, bright colors and oversized front door handles do mix. 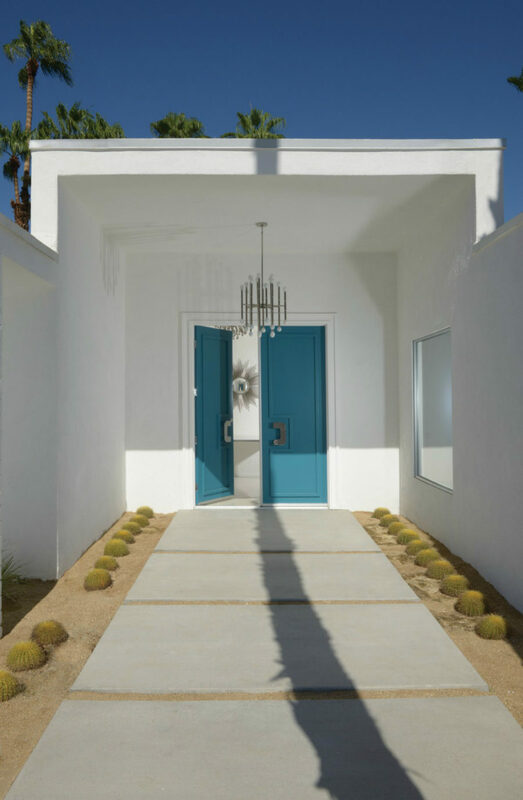 This pristine Stan Sackley Palm Springs residence is made for those peacock blue doors with metallic handles that complement an outdoor chandelier. 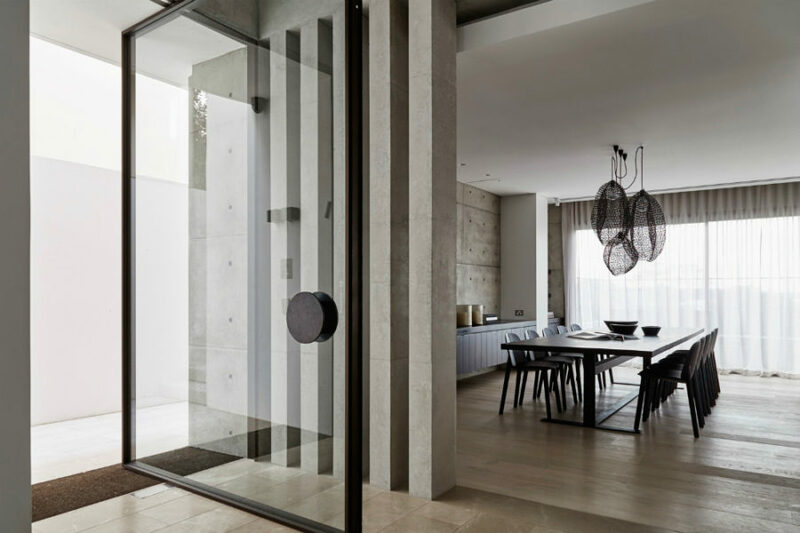 Modern stylish doors can add plenty of dynamic to sleek contemporary interiors. 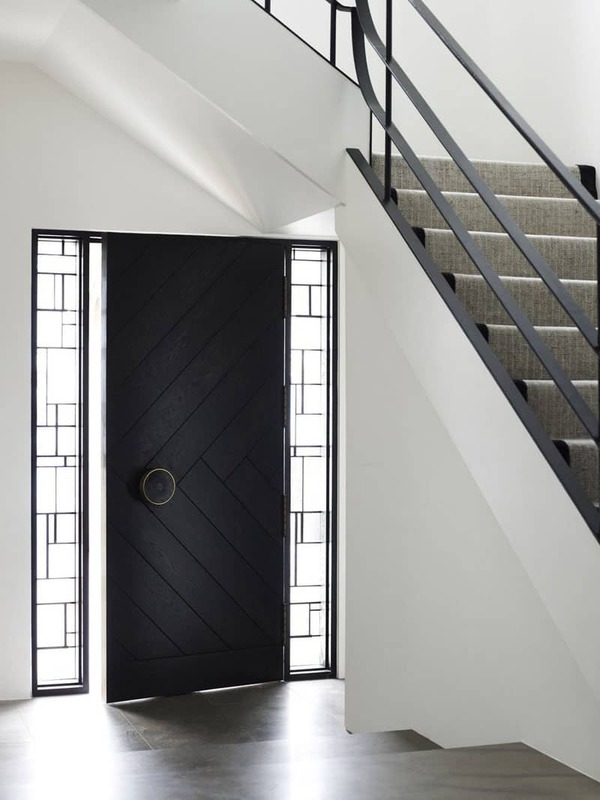 Take a look at this chevron-patterned wooden door. It’s gorgeous. Decorative transoms at each side add another layer to the picture, while a metal ring disc handle makes for a beautiful finishing touch. These glossy white doors wouldn’t look the same without their cool black disc handles. 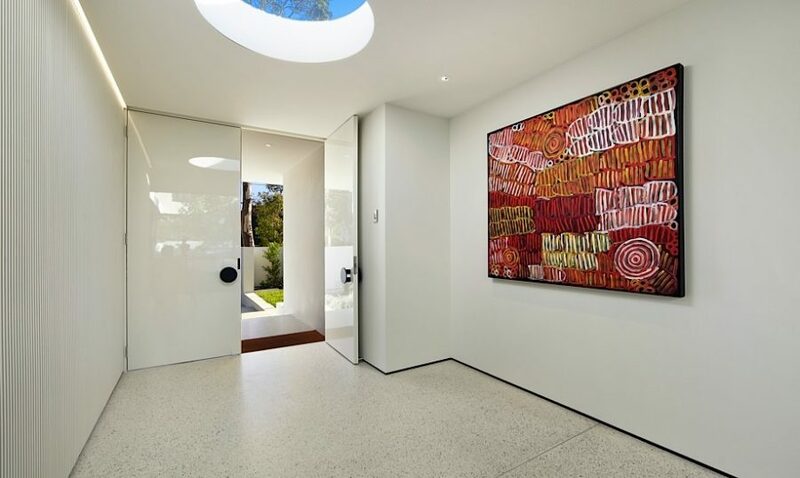 The latter also go well with the round skylight in the hallway’s ceiling. Oversized front door handles is definitely a trend that should linger. 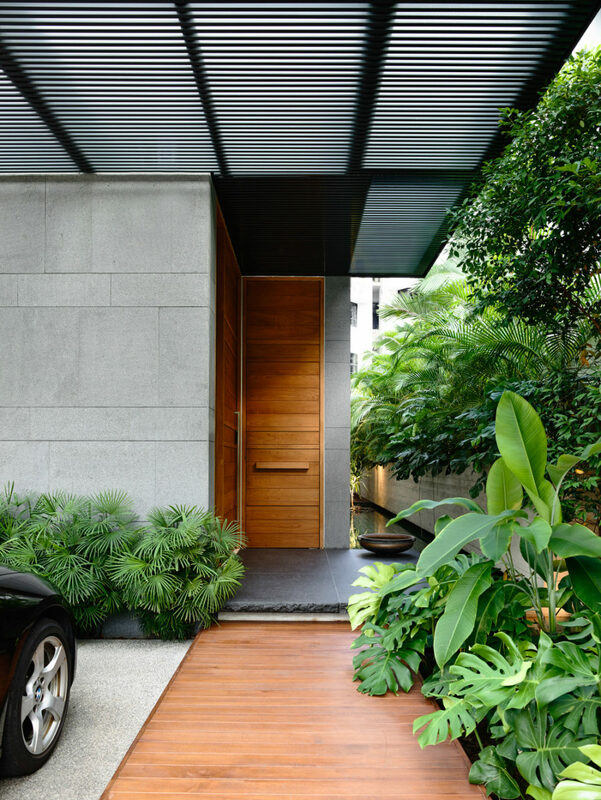 It can really make the front door appear more inviting and designer.